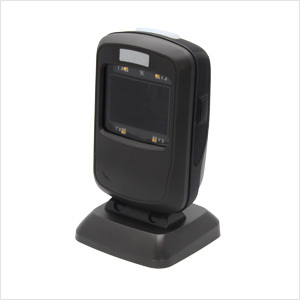 The FR4050 desktop barcode scanner is capable of reading 1D/2D barcodesprinted on paper or displayed on LCD screen and supports RS-232 and USBinterfaces. Delivering superior performance and outstanding durability at anaffordable price, this scanner provides an ideal solution for supermarkets,shopping malls, warehouses and other environments. PDF417, QR Code (Model 1/2), Data Matrix (ECC200, ECC000, 050, 080, 100, 140), Aztec, Maxicode, etc. Code 128, EAN-13, EAN-8, Code 39, UPC-A, UPC-E, Codabar, Interleaved 2 of 5, ISBN, Code 93, UCC/EAN-128, GS1 Databar, etc.